When SAP says, China is its second home, it means it. SAP is not just doing businesses and developing software in China, it also cares for the people. Some believe that caring for the poor should be higher priority than space travel, and argue that the money spent on space exploration should have been given to the poor. I’m not sure whether space exploration is less important, but what I am sure is that simply giving people money is not a sustainable approach of corporate social responsibility. This is also what SAP believes in. The best way to help people is to enable them, to empower them with digital social innovation. For the first time in history, more people die today from eating too much than from eating too little. What many people need is not food for their stomach but for their ‘operating system’, the brain. Today the main source of wealth is knowledge, in this sense, SAP and its employees are rich. And we tend to be generous in sharing our ‘wealth’ with local societies to improve people’s lives. One aspect of our ‘wealth’ portfolio is Design Thinking. As a part of SAP’s digital innovation system, SAP Leonardo, Design Thinking is the world leading innovation methodology for trouble shooting and solution creating. In 2016 alone, over 100 SAP Design Thinking volunteers in Beijing, Shanghai, Chengdu and Shenzhen conducted over 30 workshops to deliver this innovative conception to over 1,000 college students, entrepreneurs and NGOs, including the German Chamber of Commerce, American Chamber of Commerce, NPI, Enactus, etc., to help them tackle social issues. And SAP Labs China is also directly involved in tackling typical Chinese social issues, like left-behind children. Now, with SAP’s recycled iPad, kids in SAP Hope School in Sichuan Province can have sweet facetime with their parents who work in big cities hundreds of miles away. Migrant workers’ kids in Shanghai were also invited to d-shop at Labs Shanghai campus to experience VR and explore the tech world. The elderly are not left behind either, in benefiting from modern technology development. 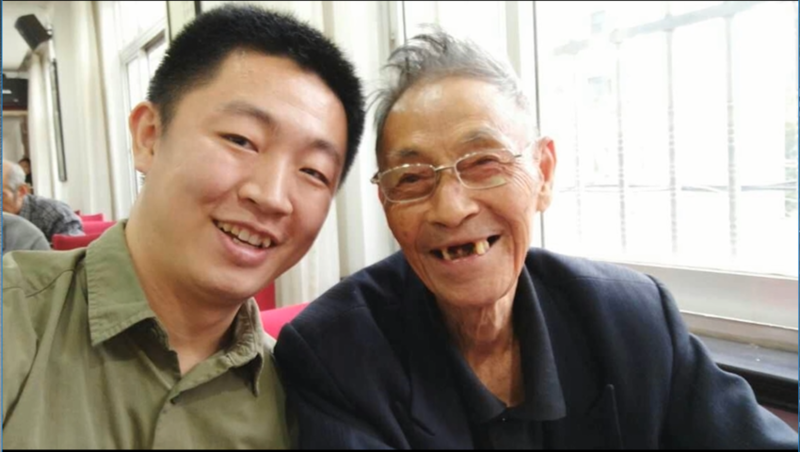 Volunteers from Labs China taught old people to use WeChat for better communication with their children, and even to use WeChat mobile payment. Surprisingly, the only group lagged-behind in using mobile payment in China is currently expats. SAP is contributing effectively to China’s sustainable social development, because it is here to stay and integrate in its second home. However, to further grow roots in Chinese society, merely bringing skills and promoting technology benefits is not enough, so SAP actively drives digital innovations in China. The Industry 4.0 Manufacturing Demonstration Line, which caught the eyes of German Chancellor Angela Merkel, Chinese President Xi Jinping and Premier Li Keqiang, is a co-innovation between SAP Labs China and the Shenyang Institute of Automation of Chinese Academy Sciences with the aim to cultivate the relevant talents at the era of digital economy and accelerate Chinese manufacturing industry. 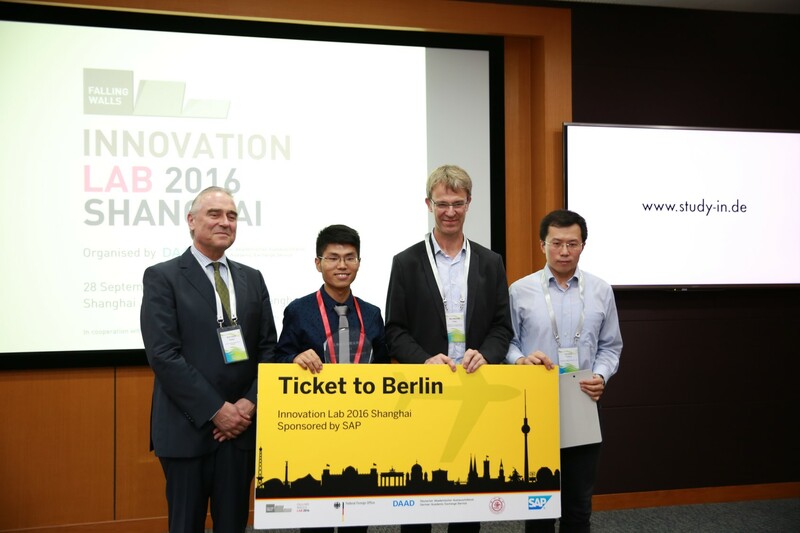 It’s not only Chinese manufacturing that SAP is trying to accelerate, but also Chinese innovation by driving Sino-German innovation partnership through programs like Innovation Lab Shanghai, an offshoot of the Falling Walls Lab in Berlin. It aims to foster scientific and entrepreneurial innovations and to promote the exchange between outstanding scholars and professional emerging from different fields of expertise. Qian Peng, the winner of Innovation Lab Shanghai 2016 and a student from the prestigious Fudan University, believes what Abraham Lincoln once said, the best way to predict your future is to create it. “We’re really facing these global challenges, and with the support from businesses we can transform what we know and what we do in universities to something that helps us really change the world,” said Qian. 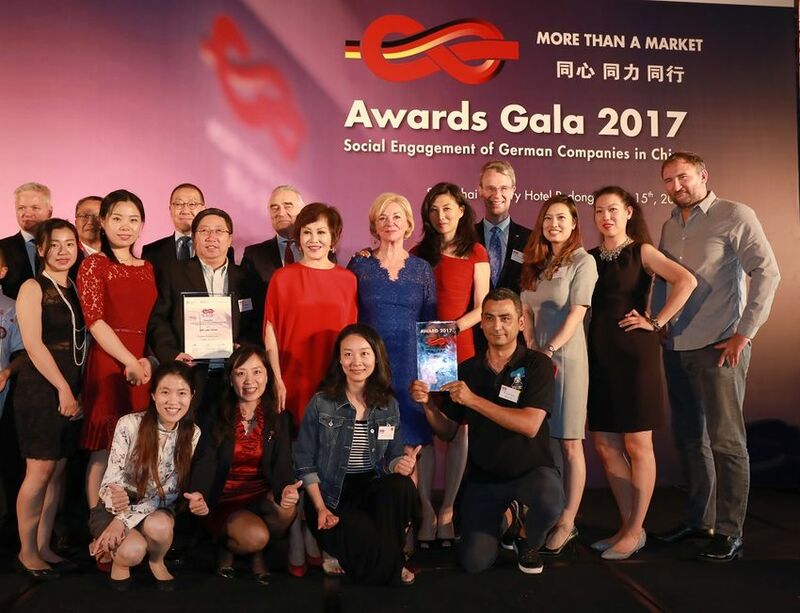 which has so far contributed 5,700 volunteer hours and impacted 247,000 persons, and whose social impact and engagement was just recognized by the German Chamber of Commerce and got the top award of the More than a Market Awards 2017 on June 15. The program was also awarded “Best Innovation CSR Award” by Chinese government in 2016 for its excellent contributions to encouraging and enabling the youth to solve social problems.